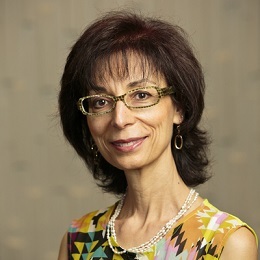 Filomena Trindade, MD, MPH, is a teacher, author, and recognized international lecturer in Functional Medicine. She is both a graduate of and faculty for the Morsani College of Medicine at the University of South Florida in Tampa, FL, where she is involved in the anti-aging, regenerative, and Functional Medicine fellowship. After earning a bachelor’s degree in biology, she earned her master’s in public health in environmental health and epidemiology prior to beginning medical school. She graduated first in her class in family practice from the UC Davis School of Medicine in Sacramento, CA, and completed residency training at University of California, San Francisco–affiliated Santa Rosa Family Medicine Residency. She has been in clinical practice for more than 18 years. Prior to starting her own private practice in 2004 in Functional Medicine, she was the medical director of a large nonprofit organization that catered to the underserved. Her work has been published in Townsend Letter, Guide to Anti-Aging & Regenerative Medicine, Saúde Actual, and the Border Health Journal. She is currently active in the development of teaching programs in Functional Medicine in the United States, Latin America, and Europe.